Maureen Lichtveld has a 30 year track record in environmental public health with research interests in environmentally-induced disease and special emphasis on health disparities; community-based participatory research; disaster preparedness, environmental health policy; and public health systems. Dr. Lichtveld has served as an expert consultant to the Institute of Medicine for many years on contemporary public health issues ranging from the adverse health consequences of the Gulf of Mexico oil spill to public health systems, and disaster preparedness. Dr. Lichtveld is the Center's Director, bringing together a cadre of regional research expertise to advance innovative, community-centered, transdisciplinary research. Jeffrey Wickliffe is a genetic toxicologist with expertise in both basic and population-based environmental health science who has a track record of research in both Texas and Louisiana. Dr. Wickliffe's research focuses on effects resulting from exposure to direct or metabolically-activated genotoxins and mutagens such as ionizing radiation, hazardous air pollutants, elemental metals, and engineered nano materials. His research lab develops and uses markers designed to define mechanisms of toxicity directly affecting nucleic acids or indirectly through non-genotoxic mechanisms and their influence on disease outcomes. Dr. Wickliffe conducted research on the impact of the DWH oil spill on the New Orleans East Vietnamese community under a project funded by the National Science Foundation titled "Citizen Science and Environmental Technology." 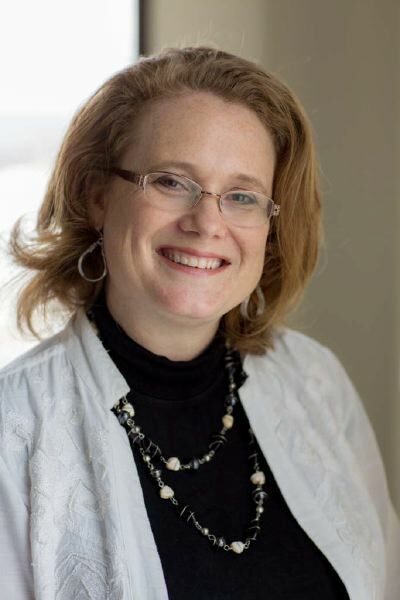 Emily Harville has experience in the intersection of birth outcomes, stress, and mental health, with disaster. After Hurricane Katrina, she was the Principal Investigator of a prospective cohort study of Katrina's effects on postpartum mental health, and co-investigator of studies of pregnancy outcomes, as well as models of prenatal care and their effect on mental and physical health of women in the aftermath. She also studies preconception influences on pregnancy outcomes, for instance, the effects of childhood trauma or life course cardiovascular disease on birth outcomes. Dr. Harville's research interests focus on stress measurement, lifetime adversity, and biomarkers in pregnant women, and how they combine to affect birth outcomes. Charles Miller received his bachelor of science degree in biology from the University of Alabama in Birmingham. He worked there as a research associate in the pharmacology and biochemistry departments, as well as at the cancer center. He has studied anti-malarial drug toxicity with Roy Mundy, chemical carcinogenesis with Awni Sarrif, colon cancer biology with Michael Brattain, and the immunology of natural killer cells with Toru Abo and Charles Balch. He joined Max Costa's laboratory and studied carcinogenic mechanisms of nickel and chromium compounds and earned a PhD in environmental oncology from the Sackler School of Basic Medical Sciences of New York University. During this time, he was the recipient of a fellowship from Shell Oil Company. His post-doctoral research was conducted in David Kowalski's laboratory at the Roswell Park Cancer Institute. There he described several new DNA replication origins in yeast. He is currently a Professor in the Department of Global Environmental Health Sciences investigating how dioxins, PCBs, PAHs, and other toxic chemicals act through receptor signaling networks, and how Hsp90 and its co-chaperone proteins modulate toxic responses. Originally from Boston, I came to Tulane in August 2005. My educational background is in biology/physiology, clinical social work, and public health, including epidemiology and community health sciences. My practice experience includes medical social work, genetics counseling, community mental health, counseling for victims of family violence, and mass media production for health issues. My areas of research reside in the overlap of maternal and child health, violence prevention, and social norms. The overarching goal of my research is to inform the development of strategies to prevent and reduce violence in communities and within families, particularly that which most directly affects the lives of children. Research of the past two decades suggests that violence, and related adverse childhood experiences, can exact an enormous toll on a young child's neuro-cognitive and social-emotional development. Dozens of studies have demonstrated that such toxic stress exposure early in life is linked with increased risk for some of the most intractable and prevalent public health problems of our time, including smoking, sexual risk behavior, depression, obesity, heart disease, and violence. It is hoped that by working to prevent and reduce childhood exposure to violent stress, my work will not only contribute most acutely to children's health, but also to the long-term health trajectory of children and their ability to thrive and reach their potential in society. 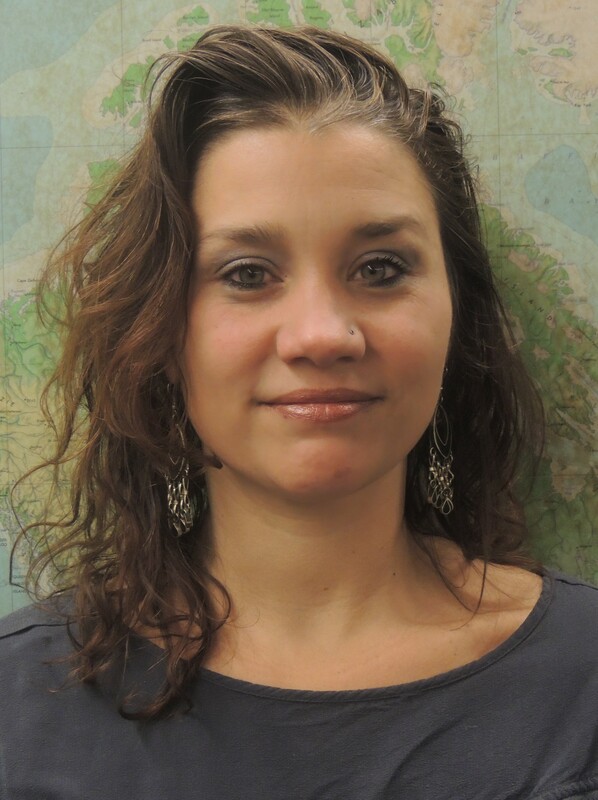 Hannah manages the center’s research portfolio, liaises with external advisory boards, coordinates working relationships with external constituencies, and provides oversight for the Center’s programs. She also writes and coordinates proposal submissions and provides financial oversight of extramural funding. Hannah has worked in the field of higher education administration for 20 years. Prior to working at Tulane, she served as Executive Director of the Center for Latin American Studies at the University of Florida (UF). She has expertise in resource management, program development and management, evaluation, personnel, communications, and international education. She has served as a Co-PI on ten grants. Hannah received her PhD in higher education administration from UF. She has an MA in Latin American Studies with a specialization in cultural anthropology from UF and a BA in Spanish from Middlebury College. Her research interests include qualitative methods of inquiry, evaluation, international education, and intercultural competence. Lisa provides fiscal management, reporting and logistical support to the Center and its research objectives. Lisa holds a BS in Environmental Management Systems and a Masters in International Development and has 7 years of Grant Management and Administration experience. Prior to working for the Center, Lisa was a Rural Development Manager for the East Midlands Development Agency. In this position, she appraised, managed, and inspected EU-funded rural development projects in the East Midlands, UK. Additionally, Lisa was part of a team that developed an ecological cooperative brand in the Netherlands. She also developed and ran an internship program at an educational permaculture farm in Costa Rica. Her research interests include sustainable food production and distribution systems, urban agriculture, the links between health and food security and access, as well as innovative solutions to food security that reduce environmental impacts of the food industry. Lisa is currently a voting member of the New Orleans Food and Policy Advisory Committee. Mya is the Senior Program Manager for the Community Health Worker Placement Program, funded by the Gulf Region Health Outreach Program. She received her Bachelor's degree from McGill University in Montreal, Canada with a double major in Ecological Determinants of Health and Latin American and Caribbean Studies. Mya also completed her Master's degree at McGill University in Geography, with her thesis work focusing on climate change and food security issues among Indigenous communities in the Peruvian Amazon. From 2011 to 2016, Mya worked for the Indigenous Health Adaptation to Climate Change research program, leading several studies related to research ethics, stakeholder engagement, health systems, climate change adaptation, socioeconomic development, and traditional knowledge. She was the recipient of the National Geographic Young Explorer’s Grant in 2013 and received the People’s Choice award for Best Presentation at the Climate and Health Summit in 2014. Through her work in the United States, Latin America, and Africa, Mya has facilitated trainings and workshops for over 50 community members on topics related to climate change, resilience and adaptation, research methods, monitoring and evaluation, and cross-cultural communication. Most recently, Mya led a 2-year international evaluation project examining the role of community-based research in the Peruvian Amazon, southwestern Uganda, and the Canadian Arctic. Mya believes strongly in the power of collaborative research to build community resilience. Her research interests include the social determinants of health, developmental evaluation, capacity development, and participatory, community-based and community-driven approaches to research. Sherry received a master's degree and doctoral degree in applied developmental psychology from the University of New Orleans. She is currently an Associate Professor at Tulane University School of Medicine and the Tulane Institute of Infant and Early Childhood Mental Health. As a graduate student, Sherry trained and worked in the field of Infant Mental Health through the Tulane/JPHSA Infant Team under the supervision of Julie Larrieu and Charles Zeanah. The Infant Team works with all children under 60 months of age who enter foster care in Jefferson Parish, as well as their parents and foster parents. Once completing her degree, Dr. Heller became the director of the Infant Team's Foster Care Team, which was responsible for administering developmental and social-emotional screening instruments for all children involved with the Infant Team and supporting and educating foster parents. She performed numerous child care observations and implemented interventions with child care center staff when necessary to meet the needs of foster children. In 2000, she was one of 19 infant mental health consultants selected nationally to participate in the Zero to Three and Early Head Start initiative. This initiative allowed her to serve as an infant mental health consultant to a Baton Rouge Early Head Start program serving adolescent mothers. In 2005, as an extension of her work started under this competitive national initiative coordinated by Zero to Three and then a research grant funded by ACF, Sherry was able to continue to consult with this program as it expanded to serve families displaced by Hurricanes Katrina and Rita. Since December 2007, she has served as the research director for the QS ECMHC program. In addition, she has been responsible for providing reflective supervision to one-third of the mental health consultants funded on the QS ECHMC project. She recently co-edited a book with Linda Gilkerson of the Erikson Institute in Chicago on providing reflective supervision to professionals in the field of early childhood intervention. In 2011, Sherry was selected as to be a fellow in Zero To Three's Leadership Development Institute. She has long-standing clinical and research interests in the effects of maltreatment on child development, the development of attachment and attachment disturbances in very young children, child care, the effects of violence on child development, perinatal loss and reflective supervision.